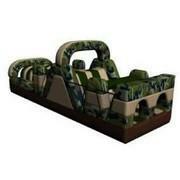 Are you looking for an affordable obstacle course rental in Dallas, TX? Well you have come to the right place! 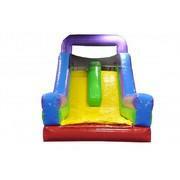 Fun 4 All DFW is ready to bring one or more of our awesome inflatable obstacle courses to your party or event. 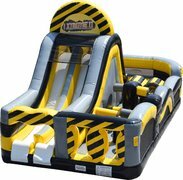 We have one of the largest selections of obstacle course rentals to choose from in the ENTIRE DFW area. 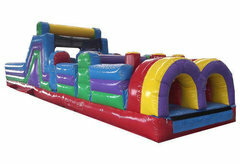 We have no doubt that your guests will be nothing short of impressed when they see one of our giant inflatable obstacle courses set up.An Obstacle course rental is great for large events such as; Festivals, School Activities, Church Functions, Corporate Family Days, City Events and lets not forget about backyard parties. Obstacle courses can easily entertain a large number of kids all at the same time. 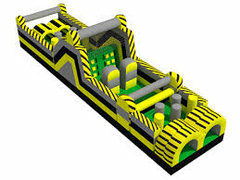 Have a look at this 95' long BEAST of an obstacle course! Get ready for a little competition and a whole lot of fun! 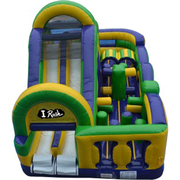 We would encourage anyone looking at obstacle course rentals to also browse through our Inflatable Games as well. We service Dallas, Cedar Hill, Duncanville, Desoto, Lancaster, Midlothian, Waxahachie, Red Oak, Ovilla, Ennis, Ferris, Grand Priaire, Mansfield, and more. Thank you for considering Fun 4 All DFW as your preferred Party Rental Company! 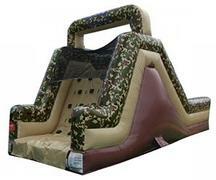 Our team of Party Rental Professionals are ready to bring the life to your party or event with one of our totally awesome obstacle course rentals, serving Most of Ellis County and Dallas County. We will arrive early to your event and have your obstacle course set up quickly so you can enjoy the full 6-hour rental time. When you decide to rent from Fun 4 All DFW you can be rest assured you are getting not only the best deal in the area, but you’re also going to get clean safe inflatables. Ordering online has never been more simple and easy to use, with our “Add to Cart” button featured on every product page. If you still have any additional questions or concerns, please CLICK HERE to contact us directly.